Performances start at 9pm sharp. _nybble_, by Alex Augier, is an audiovisual, formal and spatial performance in which aesthetics fluctuates between digital minimalism and organicity, two poles of a same continuum. 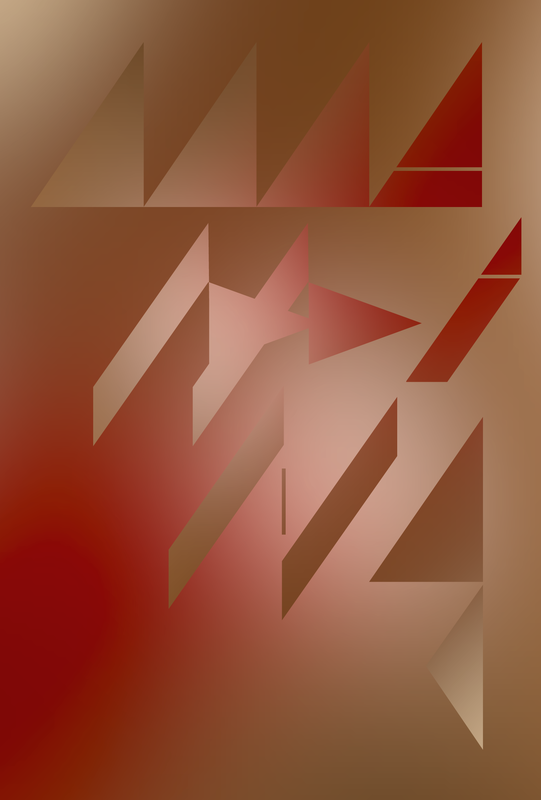 The formal fluctuation builds upon a generative visual where various forces apply both natural movements and more or less complex geometric variations to a particle system. The modular synthesizer replaces the musician at the center of the proposal and provides the musical fluctuations the project requires. The stage design allows the audiovisual medium to unfold in space via a specific structure made of four transparent screens and four points of sound dispersion. It offers to the public a quadriphonic and quadriscopic image for a full synaesthetic experience. 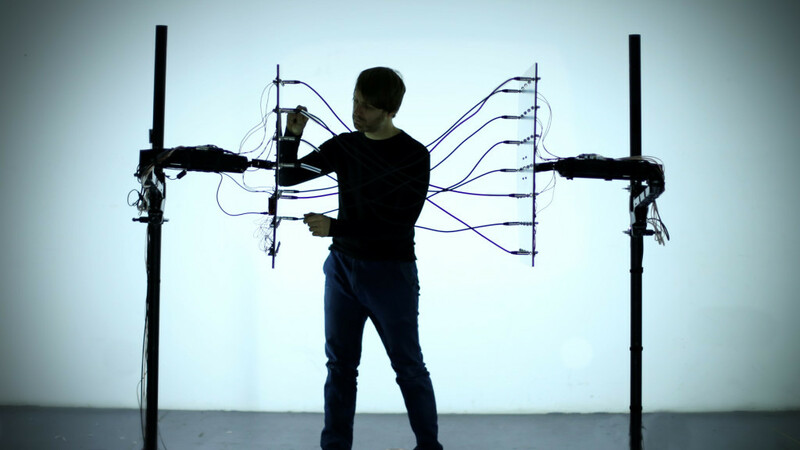 With this project FIELD, Martin Messier assumes that it is possible to create sounds using electromagnetic fields of our environment. These residual and imperceptible electric signals are picked with electromagnetic transducer microphones, and become generators of the performance. On stage, he plays with two connections patches that offer many possibilities to connect many outputs to many inputs. By a continuous movement of plugging and unplugging, Messier interacts with them, thus noise and light composition emerges. With FIELD, Messier makes material this flow of power otherwise inaudible and invisible. This presentation is made possible by the support of le Conseil des arts et des lettres du Québec. Alex Augier is an electronic musician based in Paris. His work focuses on hybrid digital aesthetics in a musical and transversal perspective, including sound, visual and formal elements. 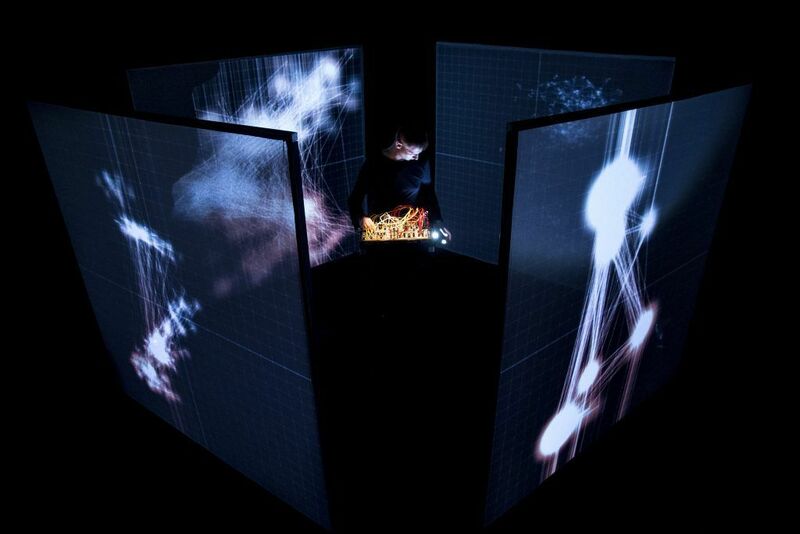 These elements interact with the stage space itself and mainly take the form of singular audiovisual performances. Also a member of AV label Fracas, Alex Augier stands for a global vision of the creative process, where design, programming and technology are an integral part of the artistic project. His works have been presented at international festivals including Scopitone (Nantes/FR), Elektra (Montreal/CA), Media Ambition Tokyo (Tokyo/JP), Open Source Art (Gdansk/PL), KinoBeat (Porto Alegre/BR), Athens Arts Digital Festival (Athenes/GR), and Nemo (Paris/FR).